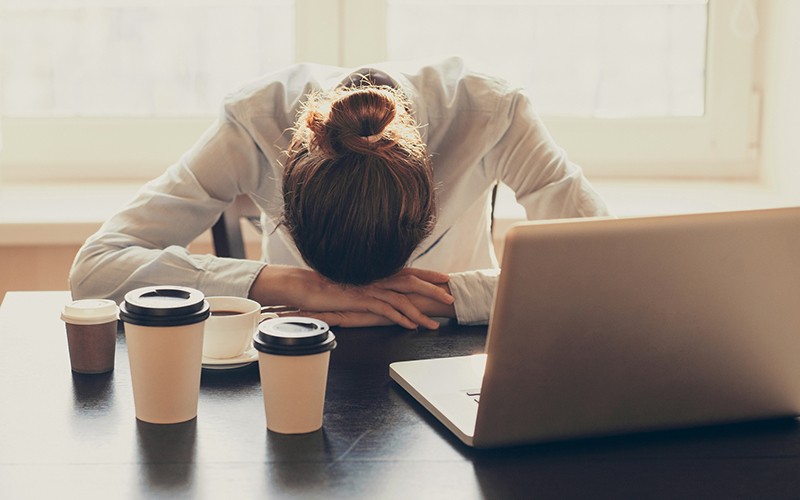 Between demanding careers, kids, spouses and a non-stop, 24-hour society that demands we become real-life Energizer Bunnies, it’s no surprise that most of us don’t get enough sleep. In fact, the Centers for Disease Control and Prevention has declared insufficient sleep a public health problem, reporting that nearly a quarter of adult Americans suffer with some symptoms of sleep deprivation. Unfortunately, many people who are sleep deprived may not even realize it. This goes far beyond yawning through your 10:00 am meeting at work, or fantasizing of sneaking into the supplies closet for a nap everyday around 3:00. When your body has been forced to function with limited sleep for long periods of time, feeling tired is likely only the beginning of your related symptoms. You can’t focus at work. You may feel pressured at work to burn the midnight oil, and you may even take pride in the fact that you can function on just a few hours of sleep. But here’s the thing: You’re not really functioning. At least not at your max potential, anyway. A study published in the journal Sleep found that when subjects were restricted to just six hours of sleep for 14 consecutive days, there were “significant…deficits in cognitive performance on all tasks.” And those deficits were equivalent to the effects someone would feel after getting no sleep at all for 48 hours! You can’t drop those last 15 pounds. You may not realize this, but lack of sleep means lack of weight loss. This is primarily because the act of sleeping controls the production and release of various hormones. When you don’t get enough sleep, your body produces less growth hormone, which is essential in converting fat to muscle. Additionally, lack of sleep increases the levels of cortisol, which puts the body in a constant fight-or-flight state, activating fat storage and increasing cravings for sugar and carbs. Finally, lack of sleep raises the hormone ghrelin, which increases appetite, and lowers the levels of the hormone leptin, which decreases appetite. You’re moodier and grouchier than normal. No, it’s not just your catty coworker getting on your nerves, or your rude neighbor who always lets her dogs relieve themselves in your yard. If you’re suffering from too little sleep, the reality is that you’re probably in a constantly crappy mood. University of Pennsylvania researchers found that subjects who slept only 4.5 hours per night for one week reported feeling stressed, angry, and sad. And it gets even worse: Those bad moods often make it harder to sleep at night, creating a vicious, sleepless cycle. You get sick often and struggle to heal. Whatever you do, avoid sleeping pills. The problem with this is that sleeping pills—the most common method used to remedy sleep deprivation—can actually create more problems than they solve. One type of sleeping pill called benzodiazepines, (which includes the drugs Xanax and Valium) are known to induce drowsiness, but they are also addictive. Even less powerful drugs like Lunesta and Ambien can be problematic because of their side effects. They typically slow the rate of breathing and induce more shallow breaths, which can be dangerous for someone suffering from asthma, COPD or other lung-related issues. They can also cause digestive problems, headache, day drowsiness, stomach pain, memory problems and a host of other health concerns. Luckily, there are some natural sleep aids to help you get the rest you need—and they actually work! Essential oils have been used as natural healing aids for literally thousands of years, and I am so excited that they are now being widely used and accepted in mainstream society. There are a few oils that have especially significant impact on sleep, including lavender, which promotes relaxation; cedarwood, which relieves stress and tension, making it easier to sleep; and frankincense, which helps to regulate the body’s temperature while also relieving stress and anxiety. It is estimated that nearly 80 percent of adults are deficient in magnesium. That’s not good, considering this vital mineral plays a key role in many physiological functions—including sleep. On the contrast, magnesium supplements can help quiet a racing mind, relax your muscles and regulate your heart rate, making it easier to get a good night’s sleep. Exercise has been proven time and time again to improve sleep, and, on average, people who exercise more vigorously tend to sleep better. It almost seems counterintuitive, but sleep both increases energy during the day and increases restfulness at night. One of the best ways to get in a good, vigorous workout without spending hours in the gym is with high intensity interval training, also known as HIIT workouts. In just 30-40 minutes three times per week, you can reap the same benefits of hours of steady-state cardio. This may sound too good to be true, but really, taking a nap is one of the best ways to help the body rest and recover. The key to making this effective is to power nap the right way: Sleep no longer than 10-20 minutes, take your nap in early during the day and try to nap around the same time each day so your body can adjust to the routine. 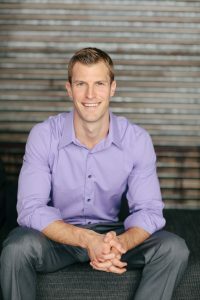 Josh Axe, DNM, DC, CNS, is a doctor of natural medicine, clinical nutritionist, and author with a passion to help people get well using food as medicine. He operates one of the world’s largest natural health websites at DrAxe.com, and his newest book, Eat Dirt, gives readers a five-step plan to heal leaky gut once and for all. Magnesium really helped me out when I was struggling with sleeping.